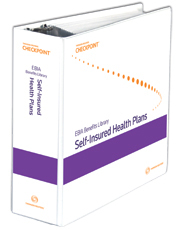 Written and edited by experienced employee benefits attorneys,EBIA Self-Insured Health Plans is the go-to resource for employers that sponsor self-insured health plans and their advisors. For employers considering self-insurance, it answers all of your questions about what self-insurance means, why employers choose to self-insure, and what challenges to expect when changing from an insured plan to a self-insured plan. From plan design through ongoing administration, our in-depth coverage, practical examples, tips, tables, checklists, and sample documents keep you informed, in compliance, and on top of new developments. This extensive resource offers the guidance you need to make smart financial and compliance decisions for your plan.